It was a beautiful Monday in Houston, TX. The sun was shining, the temperature was a mild 72, and there was not a cloud in the sky. I was finally recovering from an amazing weekend in which I had the honor to take part in my friends’ wedding. Congrats again to the newly-weds! I consumed a few more alcoholic beverages than is ideal at the reception, but it was a celebration and drinking, revelry, and camaraderie were in order. After refraining from alcohol for a day so as to let my liver recover, I poured myself this red ale a few hours before catching my flight back north. My mother’s maiden name is Murphy, so I already had a familial bias towards this brew and hoped it wouldn’t be a disappointment. This red ale certainly lives up to its name in image and looked even better in the mug I poured it into. Due to either allergies, a cold or a combination of both I was unable to detect any aroma. But thankfully my taste buds were still able to enjoy the flavor. This red ale had a nice full body with a slight bitter bite that provided a nice character to the beer. It finishes with a nice crispness which is quite satisfying to the palate. The average alcohol content makes it an ideal 6 pack to split with a friend over a dinner of burgers and fries, or more appropriately a dinner of fish and chips. You could each have one with the meal and then a couple more post meal while reminiscing with your chap about stories of your youthful stupidity and immaturity. Halfway through my mug the slight bitterness that was tasted earlier mellowed out and the beer became an even easier beverage to consume, yet with more panache than the average American ale. I much prefer this Irish Red Ale to the Killian’s Irish Red I’ve had in the past. It is much smoother. As I consumed the remainder of the liquid, I began to think of my ancestors and the balmy rainy Island they inhabited. I thought of brothers and chums hanging out together at the local pub, becoming intoxicated, cheers-ing early, often and with much vigor. My imagination began to intermingle with the joy I had experienced the past weekend. Old stories shared with friends and family members unseen for months and years. Laughter and joy permeating through all the attendees, as the bride and groom acted as the sun, the source and center of the celebration. Some of us like comets came in for a brief time to share in the celebration only to be flung far away for a time due to nature’s whims, while others circle in their more regular paths. On that beautiful day all the bodies of the solar system aligned for a brilliant dazzling display of love and support for the newly-wed couple. I’m getting lost in a rambling reminiscence of a past event, that took part barely a couple days hence. So I will stop now with my review and leave with this note. 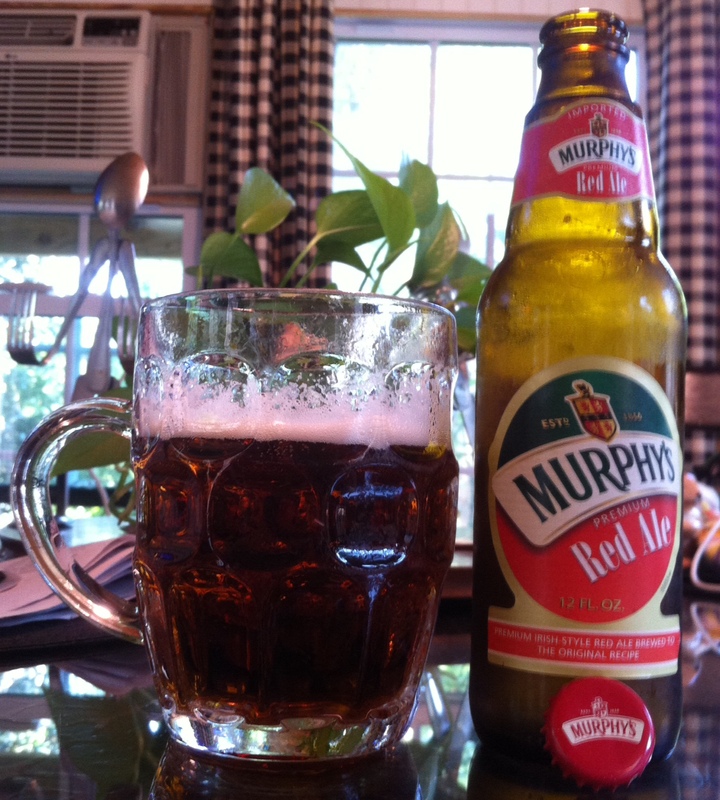 Murphy’s Red Ale is a solid brew next time you are in the market for an authentic Irish Red Ale. 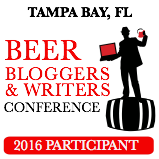 This entry was posted in Beer Style, Murphy's, Red Ale and tagged beer, Irish red ale, Irish style red ale, Murphy, Murphy's, Murphy's Red Ale, red ale, review. Bookmark the permalink. AND YOUR PRESENCE IN THE HOME OF YOUR MOTHER “MURPHY” AND I WERE A TREAT FOR BOTH OF US. 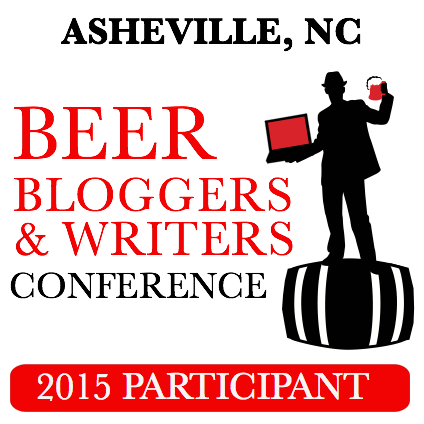 TRY THE MURPHY’S STOUT FOR YOUR REVIEW AS WELL. IF YOU REMEMBER, YOUR MOTHER AND I BROUGHT YOU AND JAMES BOTH GLASSES FROM THE BLOCKLEY INN AND A 4 PACK OF MURPHY’S IRISH STOUT FROM ENGLAND.